New 2016 Model! New Color Ways and Styling! The CB500X delivers plenty of performance to adventure sport touring riders, with its thoroughly modern, torquey 471cc parallel-twin DOHC engine. Its upright handlebar naturally accommodates a wide variety of riders, and the shape and height of the seat give more rider freedom. 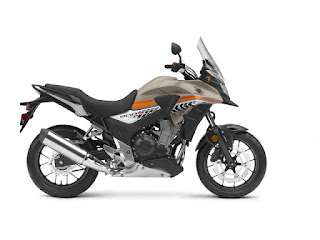 The CB500X is an excellent choice for riders ready to move up a displacement class, or for anyone who appreciates a great middleweight motorcycle for practical in-town riding, or fun adventure-sport touring. Contact Al Lamb's Dallas Honda Now!